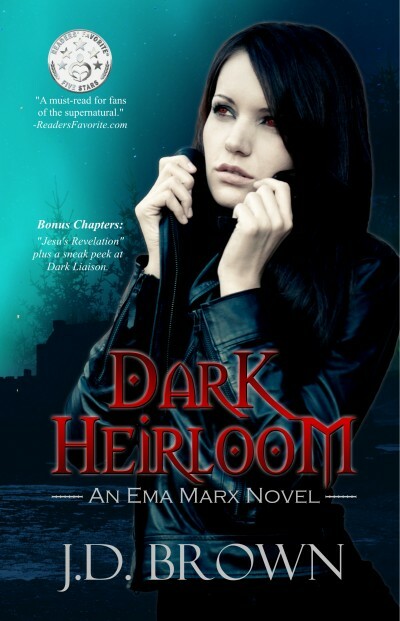 Ema Marx is destined to be the savior of the vampire race, but when the ancient prophecy foretells her death, Ema just wants to get the hell out of Dodge. Or in this case, the mysterious castle she wakes up in. Jalmari is a vampire prince with a bad attitude. He wants nothing to do with Ema. Until he discovers she's a threat to his throne. Now he's out for blood. Ema's blood. Ema's survival hangs on her ability to stay one step ahead of Jalmari while curbing her own morbid thirst. Can she save herself, or will she succumb to a hopeless destiny?